In recent years, Maine has struggled to find an effective response to an opioid addiction epidemic that has led to a spike in overdose deaths in recent years. In 2017, fentanyl and heroin drove Maine’s overdose death total to 417 and 952 babies out of the state’s 13,000 births — or about 7 percent — were born affected by opiates or other drugs. The Legislature expanded access to it and LePage’s administration took some measures to expand treatment, but Maine struggles with a low capacity for medication-assisted treatment. Many efforts — including a 2017 report from a task force LePage created in response to rising overdose deaths — drew strong criticism from addiction and recovery professionals. 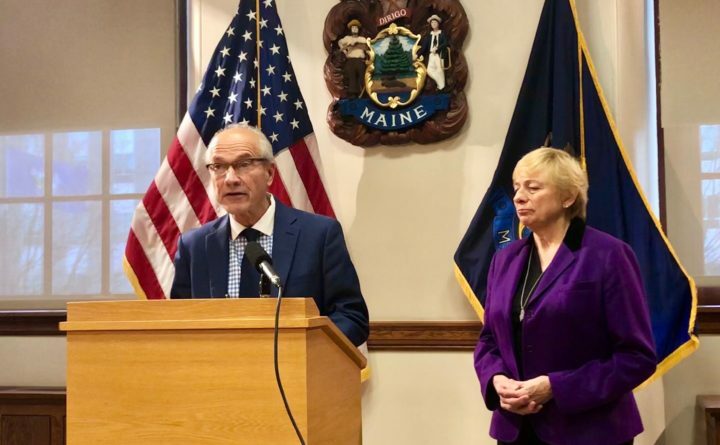 Smith, who joined the Maine Medical Association in 1981 and has been an executive vice president since 1993, called Maine’s response “anemic” at a Thursday news conference. Mills said Smith would “knock down the silos” she said have prevented a strong state response. Mills said she will soon issue an executive order outlining her administration’s initial response, including increasing access to medication-assisted treatment by partnering with providers and jails, establishing a “robust” hotline directing people to treatment and promoting prevention. Smith has spent the large part of his career managing the medical association’s lobbying presence at the State House and serving as a public face for doctors in health policy debates, including several that led to Maine’s bans on smoking in many indoor public places. He is from a well-known political family in the Augusta area: His brother, George Smith, is a writer and the former executive director of the Sportsman’s Alliance of Maine and his sister, Edie Smith, is the former state director for U.S. Sen. Angus King, I-Maine.